Have you been thinking about buying a home, but you are not sure where to start? 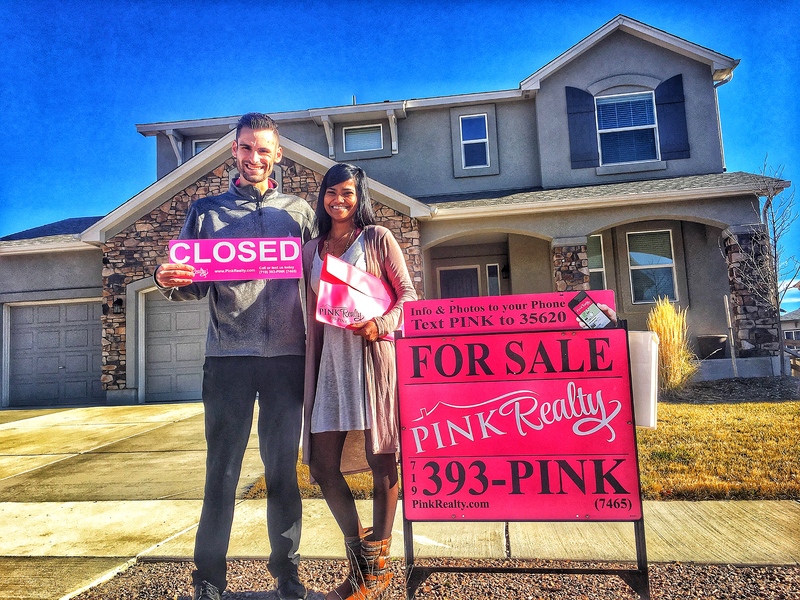 Pink Realty has outlined a simple and understandable Home Buying guide that helps prepare you for the entire process from beginning to end! While two obvious steps to buying a home include finding the right house and paying for the house, it is all the in between details that create stress and anxiety. When you break the entire process down into manageable steps, you can lay out a plan and timeline that will get you into your new home more smoothly. Most people have an idea about the house they want to buy, but most people are not sure how much house they can afford. So, before you go looking for the house of your dreams, know how much house you can afford! While you can certainly put pencil to paper yourself, the best and easiest way to find out is to meet with a mortgage lender. If you do not know one you can trust, Pink Realty can refer you to one who will help get you started. There are generally two steps involved with qualifying for a mortgage. The first step is pre-qualification. This is when the lender will take a brief look at your income and expenses and determine what size mortgage and mortgage payment you can afford. This helps you look for homes within your budget and price range. The second step is pre- approval. This is when the lender does a formal review loan application, income and expenses, verifies employment and deposits and runs your credit to determine your FICO score and actually issues approval for the loan. Once you have received pre-approval for a mortgage loan, it is very important that your credit score does not change. Your lender will run your credit again and re-verify your information before your loan documents are released for closing. Working with a mortgage lender will take the guesswork out of the equation and save you time. Mortgage lenders hold a wealth of information. They will let you know your loan terms and what the total cost of your loan will be. They can explain the advantages and disadvantages of the different types of mortgages and let you know what mortgage loan best fits your needs. They can also let you know if there are programs available for down payment assistance, first time homebuyers, and home repair loans. If your credit score does not happen to be high enough to qualify for a mortgage loan, your loan officer will be able to offer suggestions on how you can improve your score so you will qualify in the future. If you want more information on qualifying for a mortgage and repairing your credit, please see Pink Realty's other newsletters on these subjects. Once you know the amount of the mortgage you qualify for, you are ready to start looking at homes. Create a shopping list with the items you absolutely must have, would like to have and you absolutely do not want. Think about what neighborhoods you would like to live in. Are good schools important to you now or in the future? Even if you do not have kids, resale values tend to be higher in the neighborhoods with better schools. When do you want or need to move? Your timing for buying a house can sometimes offer better deals. How many bedrooms and bathrooms do you need? Do you prefer rural or urban living? Do you want amenities close by or do you want a short commute to work? Are you looking for a move-in ready home or a home you can fix-up? These are some things to think about so you can narrow your search. Many people like to begin their search on their own, but can quickly realize it is a daunting task. When you work with a qualified Realtor, you can save a lot of time and gas. Realtors have an abundance of properties and property types readily available and can quickly find homes that fit your criteria. Additionally, with the abundance of properties on the market being sold as Real Estate Owned (REO) or Short Sales, working with a qualified Realtor who is familiar with the contracts and laws can make the entire process less intimidating. A Realtor can explain the processes for buying an REO or short sale property; the benefits, risks, and time needed to complete the sale. Best of all, working with a realtor will not cost you any money. The seller pays commissions. Work with a Realtor! It is so much easier. If you do not know a qualified Realtor, Pink Realty has a staff of knowledgeable Realtors who can find you your next home! When you begin looking at homes with your Realtor, keep notes about each house. Write down what you liked and what you did not like. Make notes about the neighborhood and the neighbors. Are there any significant repairs that are needed? Are there HOA dues? Even if your first impression of the house turns you off, keep good notes. After you start looking at several houses, the details of each can become a blur. Once you have found the right home for you and your family, your Realtor will help you submit your offer to the seller. Several factors can come into play when making an offer and your Realtor can help with this. How long has the house been on the market? What is the previous showing history and feedback on the property? What time of year is it? Is the home selling as a retail property, short sale or REO home? What other homes have sold in the neighborhood and at what price. This is all information your Realtor can share with you to determine the best price to offer. Once you decide on an offer price, your Realtor will draw up the contract and present it to the seller's real estate agent. Your offer can be accepted, countered or denied. Depending on what happens, negotiators can begin or you can continue your search. If your offer is accepted, then the next stage begins! Once you have an offer that is accepted, you need to get back in touch with your lender to finalize your loan approval and financing. If you only received pre-qualification at the onset, you will need to obtain your pre-approval. At this time, your lender will fully qualify you for your mortgage. Your lender will run your credit report and verify all your information to ensure your financial situation has not changed, including your cash to close and employment. If everything points to approval, your lender will order an appraisal on the property to make sure the value of the property is not less than the purchase price offered. This is a good time to consider having a home inspection done on the property. Having a home inspection done by a licensed inspector will give you detailed information about the overall condition of the home before you buy it! The inspector will evaluate the structure and construction of the home, as well as the mechanical systems like the heating and air conditioning units, water heater, appliances, and the electrical and plumbing systems. The inspector can identify items that may need to be repaired or replaced in the near future and give you an estimate of the remaining life of the major systems. Be sure to qualify the home inspector. You want to know what the inspection covers and what will be included in the final report. How much will it cost? What is the inspector's experience and can you go with on the inspection? Buying a home is the largest investment you will ever make, so having an inspection done by a qualified home inspector is very important. If the inspection meets your approval and the appraised value meets your lender's guidelines, you are ready to get homeowner's insurance. Your lender requires hazard insurance to cover the home if it is destroyed by fire or other peril such as wind and hail. Based on your personal needs, talk to your insurance agent to find out exactly what coverage you need. Homeowner's insurance is not just about satisfying your mortgage lender, it is about having liability insurance in the event someone is hurt on your property and insuring the replacement cost of the contents of your home in the event they are destroyed or stolen. Whether your home buying process took a month or six months, you are finally ready to buy your home. Your lender will let you know how much cash you need to bring to closing. These funds will have to be in certified funds. At closing, you will sign all of your loan documents, the title company closer will have you sign their required documents and will submit all documents your lender requires for funding. After your lender approves all funding documents and requirements, you will be the proud owners of your new home. Now you get to have all the fun that comes with moving! Stay tuned, because next Pink Realty will tell you what you need to know about routine home maintenance, so you can keep your home in tiptop shape. Last updated April 24 at 2:39 am.